Fuel storage barrels are a convenient way to buy in and store fuel on site, especially if you do not require or have the ability to store large amounts of fuel on site. Each barrel is capable of storing up to 205 litres of fuel, oil and other lubricants in a safe and contaminant free environment. There are of course some regulations surrounding the storing or these barrels at your home or business, in order to ensure they do not become damaged or spill and leak their contents. We can also help and advise you on safe storage of your barrels when discussing your requirements. No matter where you are in the UK, Cooke Fuels can deliver all of the fuel oil storage barrels you require, directly to your site and can also provide you with a range of different fuels, oils and lubricants, for whatever needs you have. Call Cooke Fuels on 01282 775431 to arrange your oil storing delivery, or alternatively, fill in our online quote form. In order to comply with UK legislation, substances such as oils, fuels and lubricants need to be stored in a safe and environmentally friendly manner, in order to prevent contamination and spills into the environment. We are proud to say that all of our storage barrels meet the oil storage guidelines that have been set out by the UK and UN. To make our service even more beneficial for our customers, we also can deliver a number of ancillary products along with our storage barrels, such as fuel pumps, drip trays and leak kits at very competitive prices., to ensure your oil does not come into contact with the environment, should any oil manage to leak from the barrel. If you would like further help and advice, you can call or fill in the contact form and one of the Cooke Fuels team will be able to answer any questions you may have about this service and any of our product offerings. The majority of our customers’ orders can be delivered within three days which is sufficient for many of our customers. However, should you require a more urgent delivery, we also operate an emergency delivery service to ensure your barrels are with you, within as little as a few hours. If you would like to know more about our delivery options, please get in touch with us and one of the Cooke Fuels team will be able to assist you. 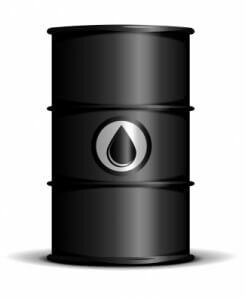 If you have empty barrels, we can provide a top-up service if your barrels are suitable for storing fuels and lubricants. If they’ve seen better days, we can also remove your old barrels and replace them with new barrels which meet all current UK and UN regulations. If you’re looking to save money on your order, we offer discounts on bulk orders, so if you have the facilities, ordering a larger fuel tanker delivery, with anywhere from 500 litres to 36,000 litres (or more) has the potential to save you more money in the long run. If you do not have the facilities in place to store these quantities, you may want to take a look at our storage tank information or discuss this with one of the Cooke Fuels team who will be able to advise you on the available options. Whatever your needs are, we can formulate a product to suit you. We offer professional advice from our team of chemists.